That is somewhat outdated now though, as I gave in and had a haircut. This is me, sitting and being serene in general in the Chinese mountains. Your Blind Guardian shirt is very serene. 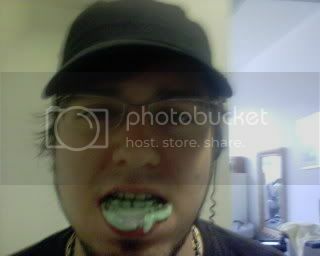 -and i`m aall outta bubblegum. Meh ill put something up sometime. 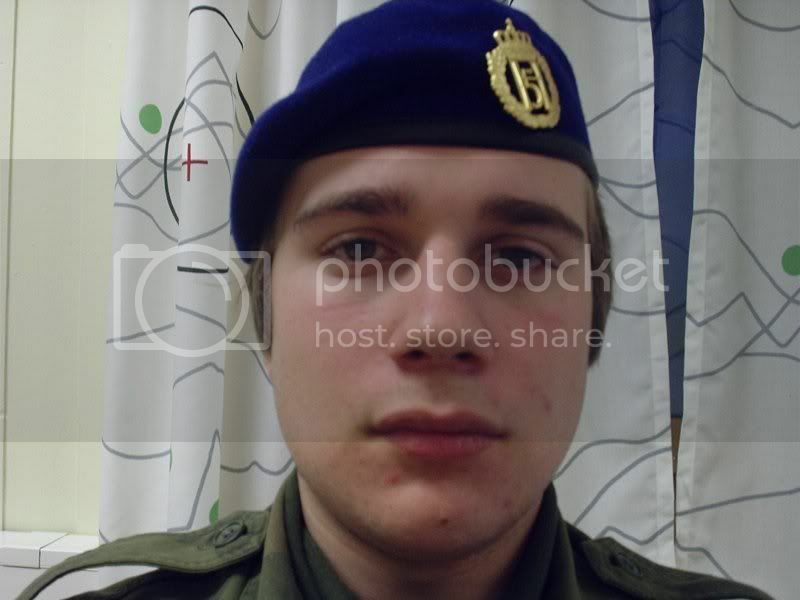 This is me a couple of years back, when I was in the army. Still the best picture of my ugly mug as far as I'm concerned. I have no mugshot. Really, I don't. Unless you want me to scan the 2.5x2cm image on my Student card from about 4 years ago. Me in my gi at a party (dont ask) before I cut my hair.